There lives a man on the tropical island of Lanzarote in the Canary Islands who seven years ago decided to leave his old life in cold, wet England behind. 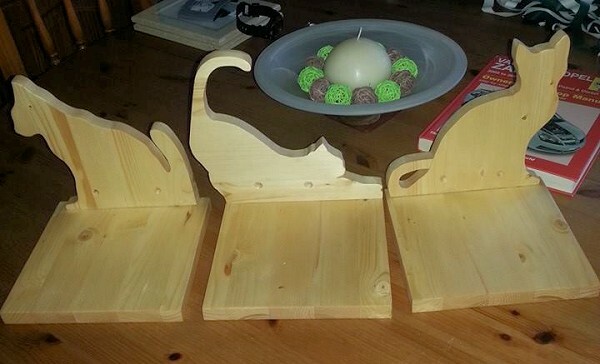 His name is Leo Makepeace, and he is an amazingly talented woodworking artist. Since he is a huge cat lover, the majority of his pieces concentrate on the feline form. 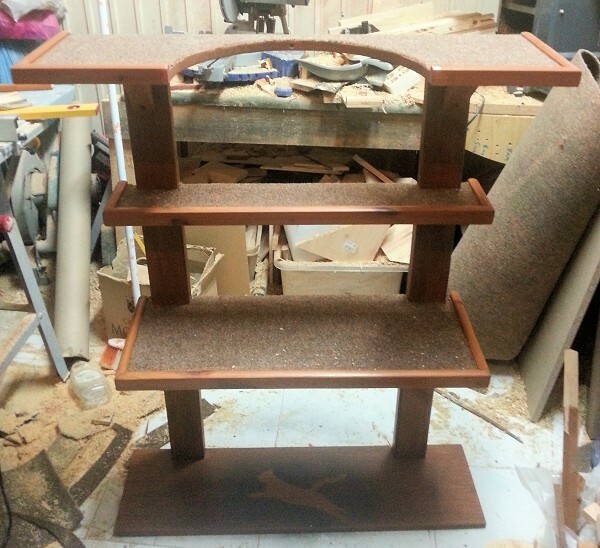 We caught up with this remarkable man for a chat about cats and woodworking. 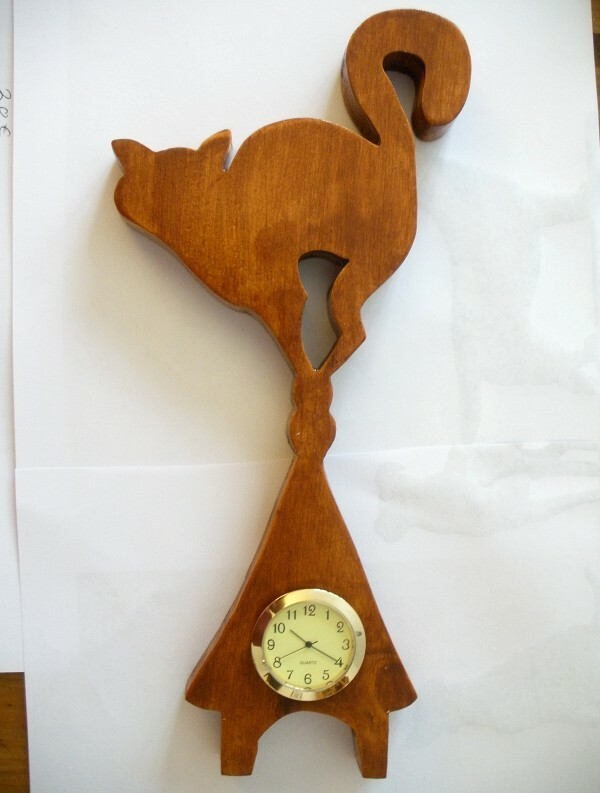 Catster: How long have you been a woodworker? Are you self-taught or did you learn it as a trade? Leo Makepeace: I worked with wood for more than 20 years as a home DIYer in England, and on the island of Lanzarote, where I live now, for the last seven years. I am self-taught, and I’ve used YouTube videos to further myself and learn the finer details of things. My inspiration usually comes from the wood itself during woodturning, but recently I’ve done more “flat” work, like those nice silhouettes you see in the photos. 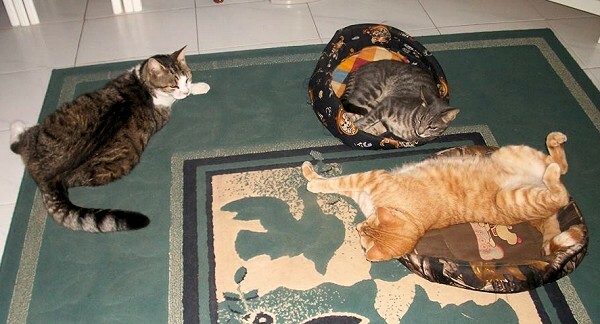 I also get lots of inspiration from animals themselves, of course, including our own cats, Bart, Naz and Chico. 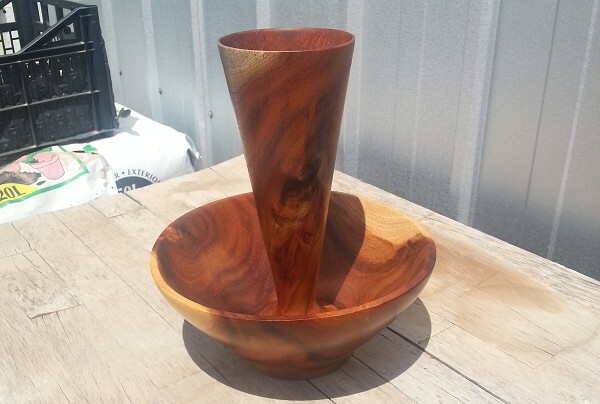 That would be a beautifully grained bowl and vase made from a pepper tree, which had to be cut down as it was damaging underground pipes. Do your pieces take long to complete? It can take a long time to make custom items, but I love making them rather than making lots of the same thing. I also create silhouettes, shelves and other wooden pieces from pictures that people send to me; these don’t take as long to make, but they look really good and people always love having their own pet in silhouette. So you do a lot of custom work? I do indeed, and as I mentioned before, I really enjoy it. And I obviously make lots of bits and pieces for our own home — in particular, cat furniture! 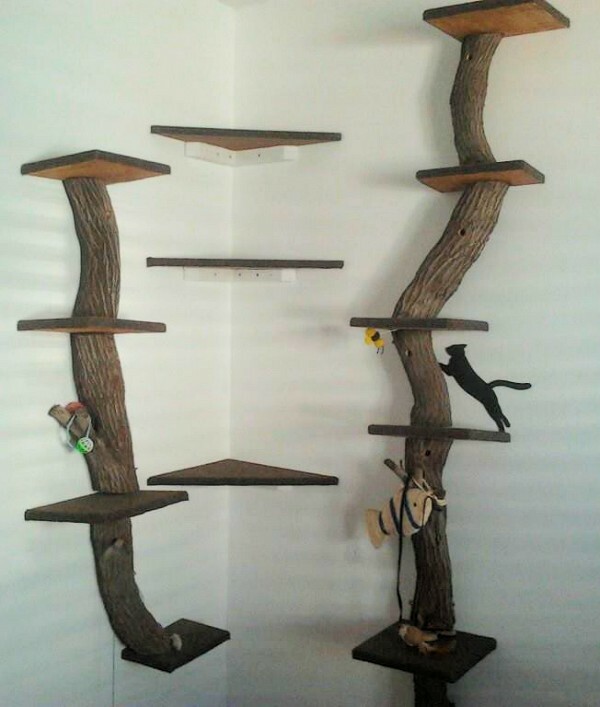 A recent favorite piece of mine is a floor-to-ceiling cat scratcher I made for someone, using actual tree trunks. 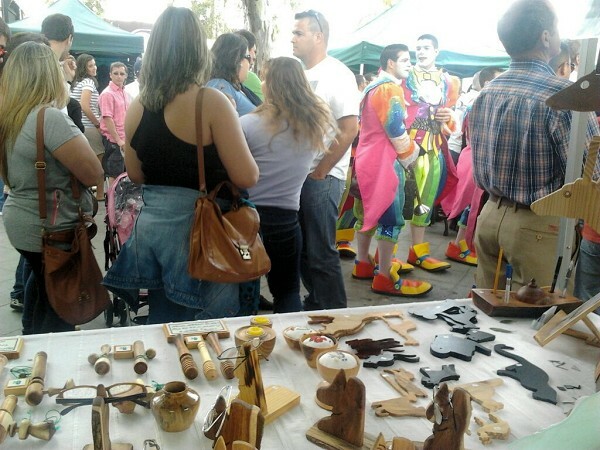 What do you enjoy in life when you are not woodworking? The company of my wife, Joan, and our three cats. They are the most important things in my life, apart from woodworking. Bart is our tabby and white boy, whose twin brother died a while back. It made him clingy for a while, but he is okay now. He is a big cat and 14 years old. 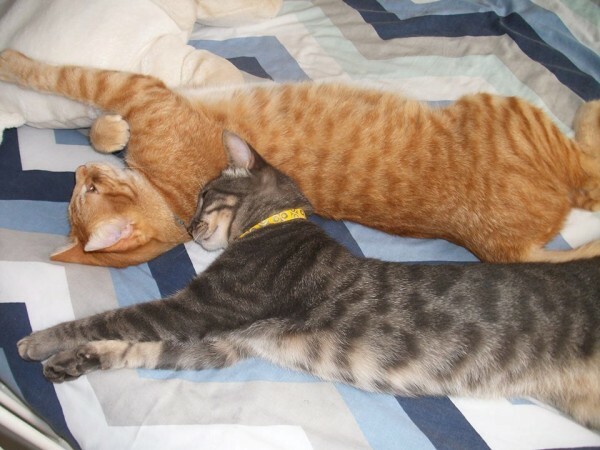 Then there’s Chico, our grey tabby boy, who was found by a neighbor under our car suffering from very bad cat flu. His eyes, nose and mouth were full of phlegm, poor thing. 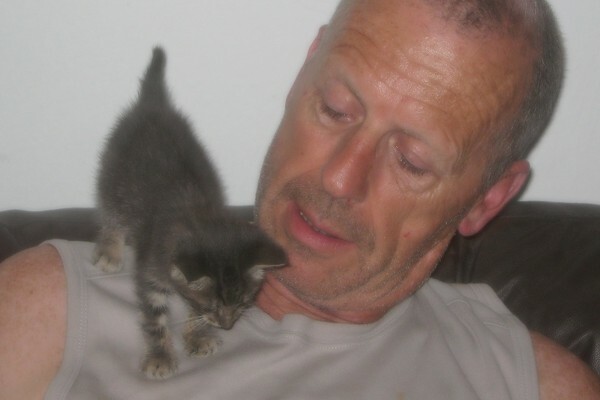 He was a tiny kitten but is a very special family member now. Last but not least, there’s our ginger boy Naz, who had been dumped by his family on holiday, in a bag. He was bullied by other cats there so we adopted him and he came to live with us. He loves to lie on my legs while I am asleep, preventing me from moving or getting up — yes, a typical cat, and I am a sucker. What is the weirdest thing anybody ever asked you to make? 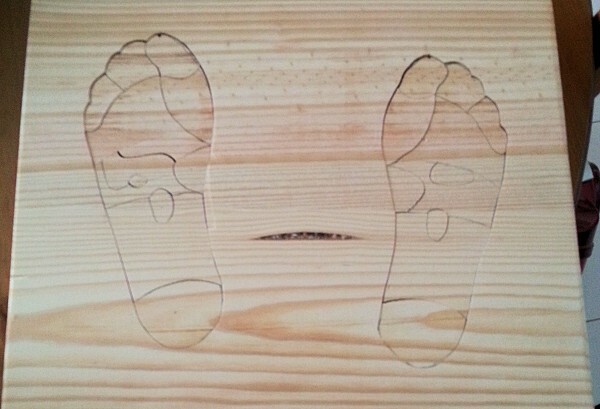 I have never had anything really strange asked of me, but the most unusual thing I made was a jigsaw of a pair of feet for a reflexology practice that had just opened. What new things are you working on at the moment, and what have you got planned in future? 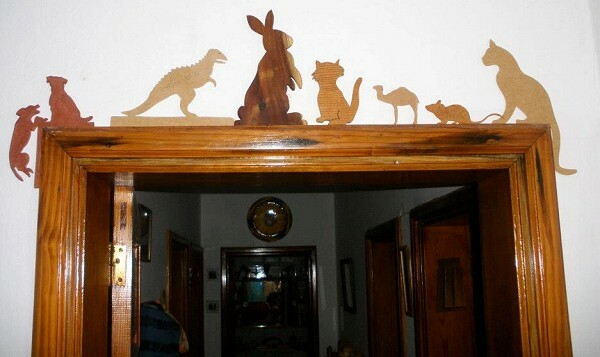 At present I am concentrating on animal silhouettes and shelves, both of which are extremely popular with people. I sell quite a lot of them. 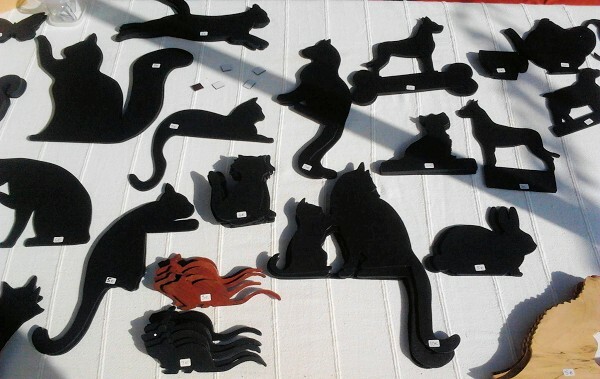 I am also making a new range of dog silhouettes to add to my collection, which is being sold at a local book shop. Do you have any tips for aspiring woodworking artists? Make sure to have sharp tools and be able to read and understand instructions. You will also need good dust extraction, and proper eye protection is a must! Where do you sell your creations? Can people buy them online? I’m afraid I do not have a website or an online shop, but I sell my pieces at local crafts markets, and I also take custom orders anytime and am happy to ship them. You can follow me on Facebook to check out my latest works, and if you like something you see, you can order it by sending me a message. I can recreate any item for you — including your own ideas. You can also watch me at work on my YouTube channel. 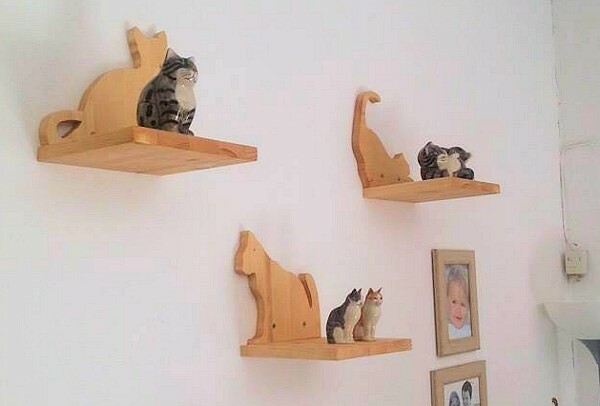 Are you, or someone you know, a craftsperson who creates cat-related art? Let us know in the comments. About the Author: Barbarella Buchner — Ailurophile. Geeky Goth Girl. Ex-Musician Singer/Songwriter. Photographer. Web Designer. Fibromyalgia + RA Sufferer. And totally mad! She originally hails from Hannover (Germany), then moved to London, and since 2004 has lived on the tropical island of Lanzarote, together with her tabby twins Lugosi & Spider, and ginger queen Ruby Akasha. Apart from being an avid hobby — and sometimes even paid! — photographer, she works as a freelance web and graphic designer and occasional Catster contributor. She designed and maintains her local cat charity 9 Lives Lanzarote‘s website.